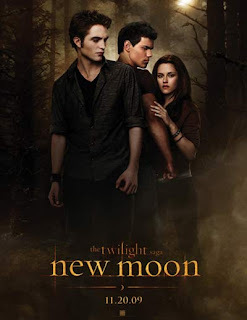 Fearing that the movie "New Moon" will inspire area teens to date werewolves or vampires, Bolingbrook declared a state of emergency. Trustee Leroy Brown announced the decision during a symposium at the village hall Saturday night. “Our fear is that these monsters will take advantage of the young fans of the Twilight series and kill them, or worse.” Said Brown. The state of emergency frees up funds so all village departments can encourage local teenagers to abstain from dating any monsters. The last time the village declared a similar state of emergency was in 1992, before the release of the role-playing game Vampire: The Masquerade. Bolingbrook Police officer Ronald Milton, a member of the Supernatural Division, says true vampires are nothing like the vampires in Twilight. Milton says that being bitten by a vampire does not turn its victims into vampires. Nor do vampires kill everyone they feed on. Ellen said the affair ended when Jeff killed Garth, and Jeff tried to kill Jenny. Officer Milton saved her by emptying an M16 clip of silver bullets into Jeff. Alicia Z. Reed, a spokesperson for Heart Haven Outreach, said H2O is ready to help at-risk-youth traumatized by supernatural monsters. Paula X. Minkski, member of the Bolingbrook Jaycees, says the Jaycees are planning to distribute wolfsbane and garlic to all Bolingbrook teenagers. An unidentified member of Citizens for a Better Bolingbrook stood up during the symposium and suggested that the police department should have a division dedicated to dealing with supernatural monsters. The member said he would report to Bonnie Alicea, and start an investigation. He also added that he liked the Twilight series’ message to young people that they always have a choice in life. Brown also announced a new public service announcement that will run on BCTV starting this week. Produced in corporation the G4 cable channel, Brown said it was more graphic than most of the videos released by the village. The Babbler could not reach a representative from the vampires or werewolves for a response. Scientist: Too much beer turns people into skeptics!